Add dazzle to your bags or gift wrap with these Metallic Sheets. 12 Polybags with 3 sheets of 18" x 30" mylar sheets in each polybag. Sheets are mirrorized on both sides in colors. 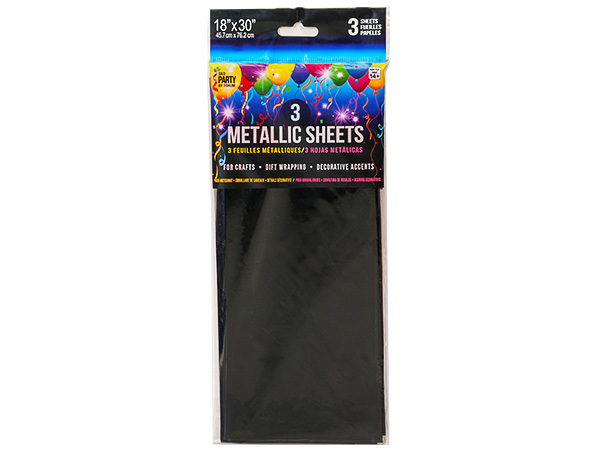 Made of polypropylene, sheets are great for adding sparkle and sizzle to your special packaging and double-sided with the same color. Great for resale!